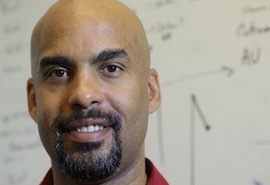 Damien is an Associate Professor in the Behavioral Neuroscience Department at OHSU where his laboratory focuses on mechanisms and principles that underlie the developing brain. The majority of this work uses functional MRI to assess typical and atypical populations, including children with ADHD and Autism. His current focus and the subject of his TEDx talk is how we examine ongoing spontaneous brain activity in the brain, and what it means with regard to brain development. In addition, Damien is strongly committed to both teaching and public outreach. He serves as Director of OHSU President’s Fellowship for Diversity and Inclusion in Research.